Which home improvements will yield you the best payoff once it comes time to value your home or sell? Furthermore, which home renovation projects provide the most satisfaction and joy for homeowners, and which improvements are deemed most valuable in home buyers’ eyes? We can track all of these things thanks to a comprehensive yearly report by the National Association of Realtors Research Department. By assembling data on thousands of remodeling projects, we glean an accurate ranking of which home improvements recoup the highest percentage of their cost when it comes time to sell – and much more. But this year’s report offers a couple interesting new twists. In the past, cost-versus-return home improvement reports all focused on the seller’s financial investment and return but not the relative intangible happiness or satisfaction it gave them, nor did it take into account the potential homebuyers’ point of view. They were also polled about how which home improvements shined the brightest with potential homebuyers. Using these new perspectives, we can cross reference the percentage of cost recovery with the Joy Score to find out which home improvements did, in fact, offer the best intrinsic and practical value for homeowners. We can also reveal the totally subjective rating that homebuyers would assign these improvements. Why is that so important? Homeowners should always be thinking about future value and not fall victim to over-improving their home if it won’t yield them a higher return when they sell. Likewise, when it comes time to sell your home, working with an experienced home sale specialist like Renee’ Catricala will assure you that you’re seeing things through the buyer’s eyes and spending the least amount of money for the highest reward – and the most profit in your pocket. A new roof is the #1 improvement, recouping 105% of its costs at resale and offering a Joy Score of 9.6%. The home improvements with the highest Joy Scores were often the most expensive ones, although that wasn’t always the case. How about the highest Joy Scores for exterior projects? So it looks like renovations that focus on highly visible aesthetics, like front doors and garage doors, yield high Joy Scores even though they are relatively low-cost projects. What about with potential homebuyers? Now we know how these projects rate with sellers, but what about the homebuyers? Remember that buyer perceptions and opinions are so important because they are the ones that drive home sales. When it comes to the Realtor survey, which home improvements don’t offer a high recovery rate, even though they had high Joy Scores? If all of these numbers are starting to blur into each other, don’t be discouraged. 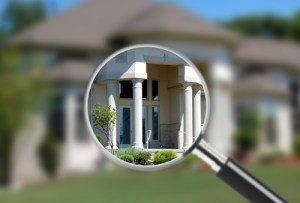 When you work with a fantastic Real Estate Team, we will do a detailed walk-though and analysis of your home and tell you which items are best to be fixed before you sell, which home improvements would yield the best return on investment once you sold, and which repairs or additions were better left alone. That way when the home sells and the ink dries, you’ll be assured that you received the maximum profit possible – the goal of every home seller!